In May 2017, Karly graduated with a degree in Psychology, and it shows in her full-time role as Client Service Associate. Karly brings youthful exuberance and a strong level of communication, both of which infuse every client interaction. If you call or visit our office, you’ll likely be greeted by Karly. She helps to keep everything and everyone in check, whether it’s for a meeting, administrative duty, or client request. Like the rest of our team, Karly appreciates the joy and satisfaction that comes with giving people a plan for financial success. Equally she appreciates the personal approach – because in the end, it’s really about the relationship. 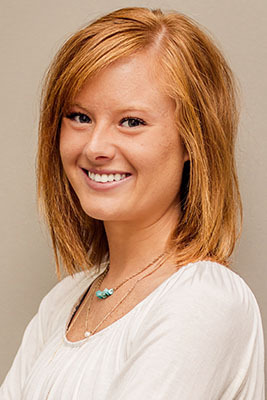 Karly is known for going the extra mile for our clients, even when it goes beyond financial matters. In fact, she’s been doing so in the industry for 7 years. In her spare time, Karly enjoys being outdoors with her husband, traveling, and spending time at the cottage with family and friends. That’s Karly’s story. What’s yours?